RMS is a family of people dedicated to making the loan origination process a pleasant experience for my customers and referral partners. Education is key to the success of the transaction. I enjoy meeting my customers, learning what is important to them and their families, and structuring the transaction to fit their wants and needs. I look at each transaction, purchase or refinance as a puzzle to be solved, easy or difficult, it is always fun to find the solution." 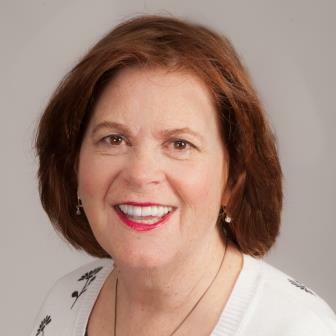 Rose came to RMS with 33 years in the mortgage industry, in addition to a background in tax preparation and real estate sales, her mortgage experience includes work as a Branch Manager, President and owner of a mortgage company from 1988-2010. A lifelong resident of West Chester, Chester County, PA, Rose has been very active in her local lending community as: A member of the Pennsylvania Association of Mortgage Brokers (PAMB); National Association of Mortgage Brokers Institute, instrumental in developing the program and training loan originators prior to the requirement imposed by the S.A.F.E. Act; Delegate Council Member 2008-2010, Board Member, Broker of the Year 2007-2008; named to the S.A.F.E. Act Mortgage Testing Committee 2009, 2010; and S.A.F.E. Act Trainer. On her own time, Rose enjoys skiing, bike riding and travel. 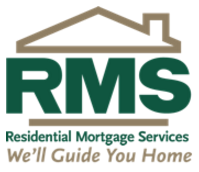 RMS helps homeowners across New England and the Mid-Atlantic meet their home financing needs. Since 1991 homeowners have turned to the home financing professionals at Residential Mortgage Services, Inc. (RMS) to make the “last mile” of home ownership as simple and straightforward as possible. From helping prepare your initial paperwork through closing on the home of your dreams, you can trust that RMS has you covered. RMS is an independent, privately held mortgage bank and direct lender of residential mortgage products, and our loan specialists have direct access to a full spectrum of integrated loan processing, underwriting and direct lending services – all under one roof. Combine this experience with our “customer first” approach and what you’ll get is fast, friendly service that has helped RMS become ranked in the top 10 in purchase and refinance transaction loan originators in nation. Thousands of homeowners have relied on our expert advice, broad product selection and high level of personal attention. Isn’t it time you put the team at RMS to work for you? RMS – We’ll Guide You Home. For informational purposes only and is not a commitment to lend. Programs, rates, terms and conditions are subject to change at any time. Availability dependent upon approved credit and documentation, acceptable appraisal, and market conditions. Not all programs available in all areas. Residential Mortgage Services, Inc. is a Maine Corporation headquartered at 24 Christopher Toppi Drive, South Portland ME 04106. NMLS# 1760; www.nmlsconsumeraccess.org; Equal Housing Opportunity. Click here [https://www.rmsmortgage.com/about/state-licensing] for list of state licenses. Not licensed in the State of New York.